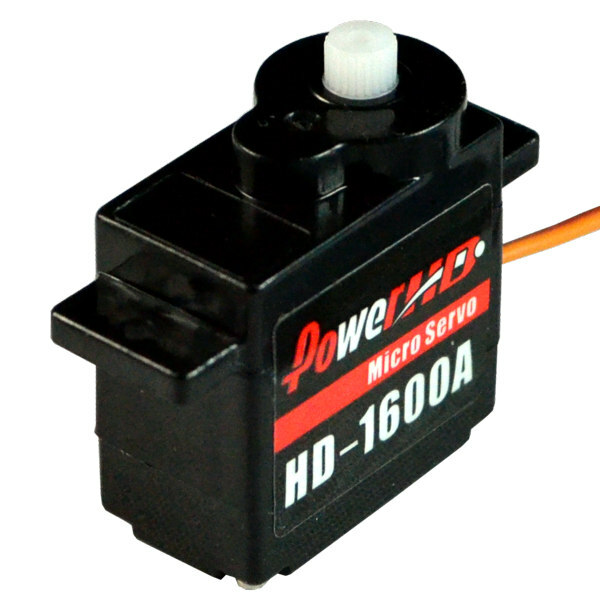 The PowerHD HD-1600A Micro Analog Servo is a tiny servo suitable for a variety of small robot actuator tasks. This tiny little servo provides 18 oz-in of torque at 6V and moves 60 degrees in a tenth of second. 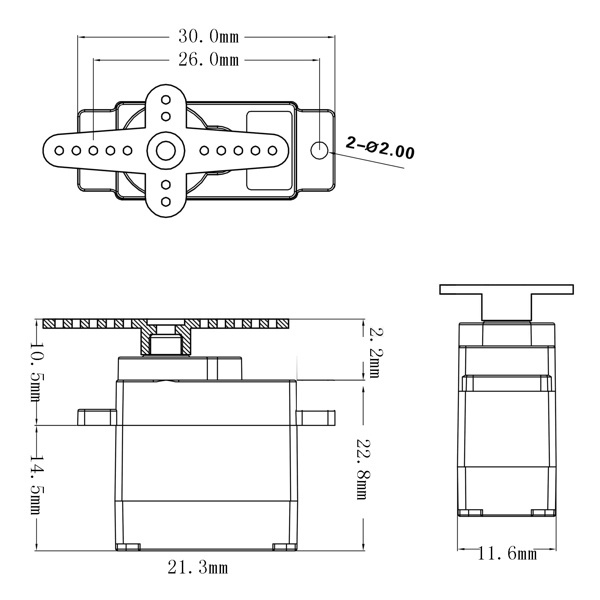 At only 6 grams it won't weigh your robot down. 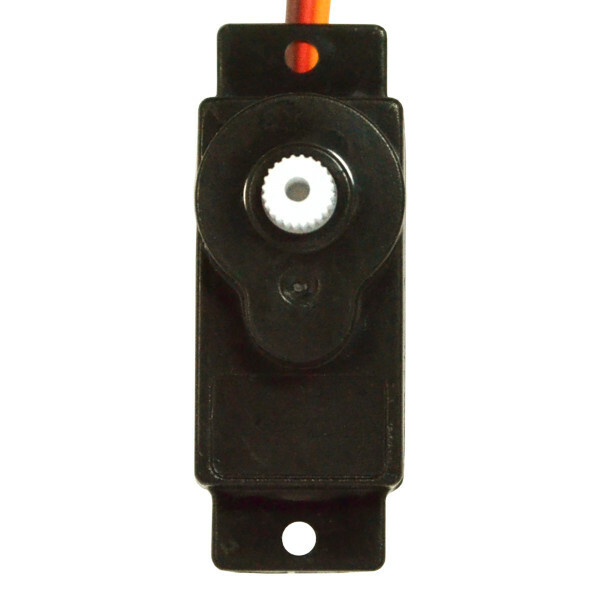 This servo is a great choice for positioning various small sensors and similar purposes. 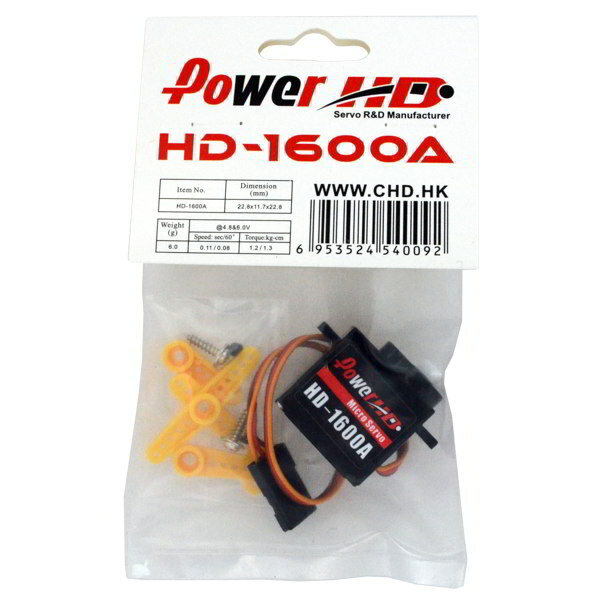 This micro servo has a standard JR type universal connector and comes with an assortment of servo horns and mounting hardware.